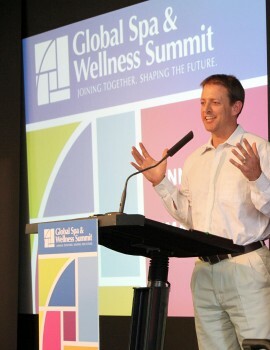 A few weeks ago, I was at the Global Spa and Wellness Summit at the Aspen Institute in Colorado. The theme of the conference was “Innovation through Imagination” and thought leaders from across the spa and wellness industries discussed the future intersection of spas and wellness. These spas serve as the ideal that many of us in the spa industry aspire to, offering comprehensive and integrative wellness programs that make a real impact on their customers. Visitors at these spas learn positive skills to drastically change their lifestyle. They adopt new diets, start exercise programs, lose weight, practice mindfulness, and reconnect with their values and goals in life. It is truly transformational. Unfortunately, however, these destination spas only make up (at least in the U.S.) about 2% of the industry. So while it is great to connect with thought leaders in health and wellness and discuss this inspirational destination spa model, what does this mean for the other 98% of spas that don’t have these comprehensive programs and facilities? How do we offer a wellness experience at a small, hotel spa, or a day spa in a shopping mall, or a beauty salon? 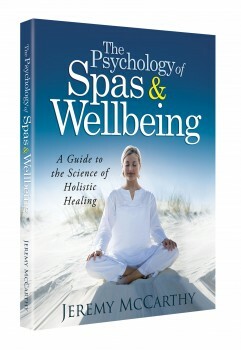 The answer to this question is the real key to unleashing the potential of spas as a harbinger of wellness. When we dig into the potential of the 98% (not to be confused with “the 99%”) we will be able to truly leverage the power of the spa industry as a force for wellness in the world. As an example, consider my experience at the hotel spa (the Remède Spa at the St. Regis Hotel) that I had upon arrival to Aspen. I had a splitting headache from the altitude and was feeling pretty miserable. Upon arrival to the spa the staff immediately expressed concern for my wellbeing. The spa manager, Julie, suggested I take an aspirin every day until I adjusted to the altitude. And then she invited me to relax in the facilities, offering me water, fresh fruit and a selection of healthy teas. She also suggested I try their oxygen lounge, which is also helpful in the higher altitude. After an hour in the spa including stretching in the steam room, alternating between the hot tub and the cold plunge and relaxing in the lounge, I felt like a new man. I didn’t have a chance to get a treatment or even to try the oxygen. They reminded me to avoid alcohol and drink plenty of water until I had acclimated to the altitude. I walked in feeling absolutely wrecked from a day of travel, and I walked out with a blissed out body, a clear mind, and a few new strategies for dealing with the altitude. 1. The staff was nurturing and concerned for my wellbeing. 2. They offered time and space for relaxation and reflection. 3. They provided experiences that were pleasurable, stimulating positive emotions. 4. They provided guidance and suggestions to help improve my wellbeing. 5. They gave me tips that I could continue to follow, even after I left the spa. Spas get a bad rap for being a luxury indulgence, only about getting pampered or beautified, all fluff and no substance. But after meeting with the thought leaders of this industry, I can assure you: they are singularly concerned with the wellbeing of their customers (and beyond.) 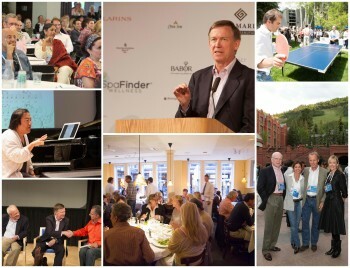 And this is not only true of destination spas, but the entire spa industry, offering wellness experiences that we all desperately need: touch, silence, separation from technology, separation from urbanization, time and space for mindfulness, reflection and contemplation, and a kind, gentle nudge towards a healthier lifestyle. The 2% wlll pay for the right staff,,,the other 98% usually pay a Spa Director a wage to live on but the rest from the assistant straight down? Crumbs…and you get what you pay for.. The word diet should be struck from the spa vocabulary,,,replaced by glycemic index, leptin and ghrelin for a example of Old School Education still used by the 98%,,,use diet at a 2% and they might Laugh you out the door behind your back.. They would rather at the 98% BS their way through the 58 year olds Hot Flashes by suggesting a Hydrotherapy or massge…Yea Right!!! After spending time at the Ritz Carlton, Half Moon, Zoetry Wellness & Spa, Starwoods, Karisma, Mandarin I can say ” 100% it is only the $$$ factor that seperates the two and Big Lack of Education! Charlie, hate the game not the player! Everything you describe is not specific to spa but is a problem with the economic paradigm we all live in. Just saw this article on the yoga industry which has the same problems: http://www.yogadork.com/news/yoga-is-too-expensive-or-why-it-should-be-free/. Thanks Kristina, That is definitely what I felt at the summit, an attempt to examine our roots and return to the core of what we do while also being open to possibilities for change and innovation. Thanks for reading and commenting! Where are the Doctors at the other spa’s? few if any ,,,why? Hotel’s are to Cheap to pay the staff needed….no other explaination is there? They are fixed on the Old School massage slave deal,,,charge a guest $90 to $225 for a 50 minute rub and pay the slaver $19 to $35 dollars, Great mark up!!! Why try anything else? All the spa wellness talk is getting older by the month and profits are falling fast on this side of the map.. Sorry Charlie, but I think you are way off here. The hotel industry is no more or less greedy than any other business (including destination spas or any other wellness institution with physicians on staff or other highly paid professionals.) That is why I say hate the game, not the player. Your complaints seem to be about businesses trying to make a profit rather than just giving away what is best for humanity or for their employees, but that is not the economic paradigm that we live in. In fact, I think there is an unfortunate double standard in our society. We seem to think it’s OK for someone to make a profit by selling ipads or automobiles but as soon as someone is trying to sell wellness or wellbeing or something else that actually benefits humanity, they are expected to give it away for free or they are considered greedy. Hotel spas are not overly profitable, so your suggestion that hotels are paying peanuts and keeping the lion’s share out of greed does not really add up. 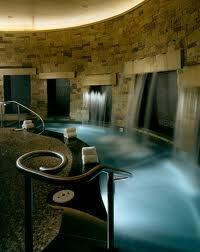 The reason hotel spas do not hire a physician is not because of greed. It’s partly because they can’t afford to, but mainly because that’s not what their customers are looking for. I don’t think physician supervision is what will make spas successful. They are successful because they offer things that people aren’t getting from their physicians.